Jeffers's The Moon, the Earth and Us on view on the High Line between 15th and 16th Streets until February 14. 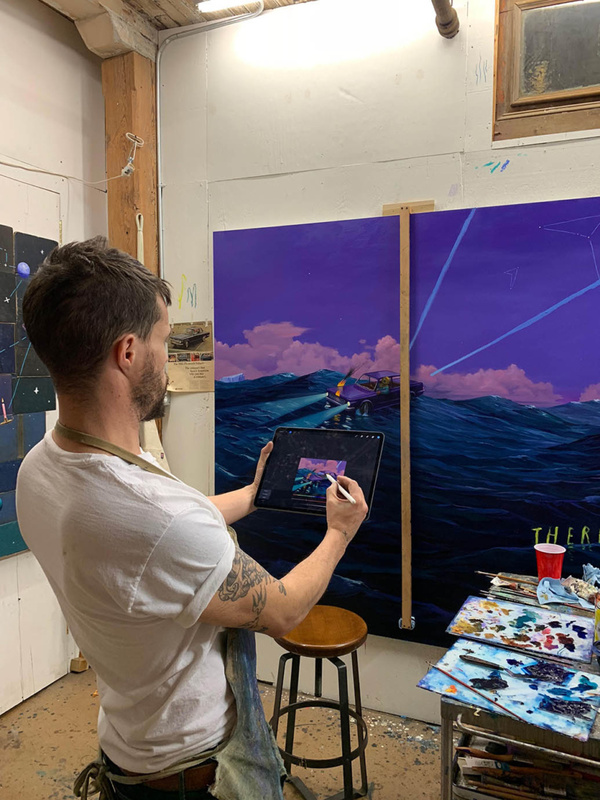 Jeffers in his Brooklyn studio, comparing his iPad sketch to the painting None as Blind now on view through February 16 in his show at Bryce Wolkowitz gallery. 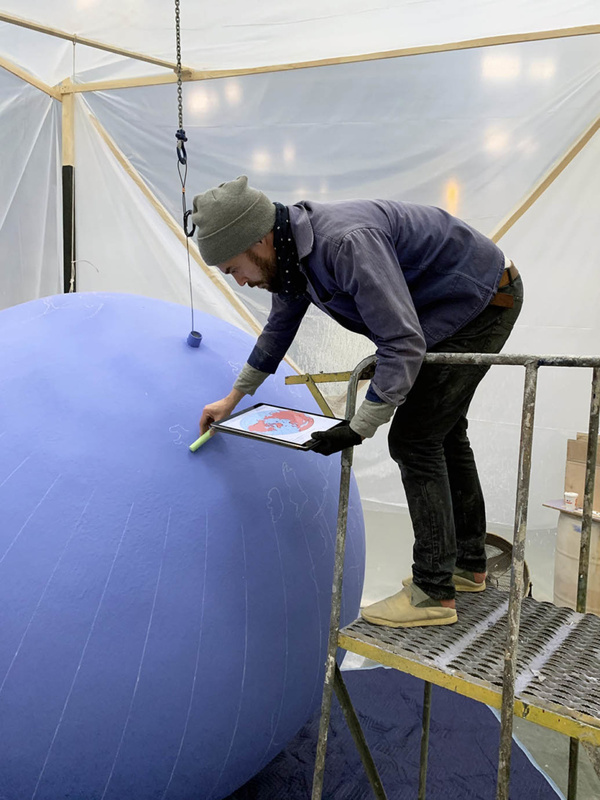 Jeffers preparing The Moon, the Earth and Us for the High Line. 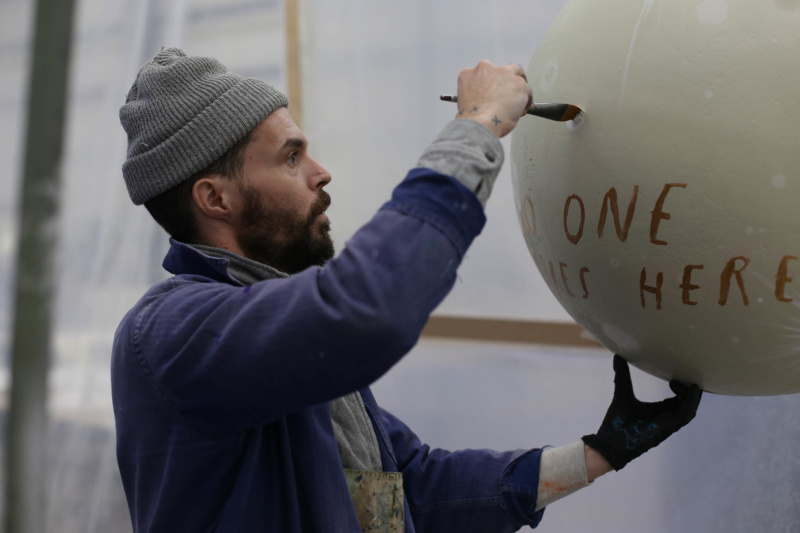 Courtesy Oliver Jeffers studio. Jeffers painted “People live here” on every country in the world for his High Line installation.